Visit Chuncheon with new DKYW 2018! How did you find the first DKYW 2018 series about Gangneung? If you have not read yet, please click the link below to check out what DKYW 2018 offers to enjoy Gangneung. For the 2nd part of DKYW 2018 – Gangwon chapter, we’d like to talk about Chuncheon, City of Romance. Starting from 1970’s till now, Chuncheon has been a symbolic place for young generation’s outing, especially college students’ team building activity as it’s only 1 hour away from Seoul and has beautiful scenery in everywhere of the city. With DKYW 2018, you can have all the benefits below in Chuncheon! Please check the link below to find how to get discount and redeem the coupon book! And here we introduce places in Chuncheon to visit! Soyanggang Skywalk is an observatory facility set up on Uiamho Lake. The walking path, comprised of transparent glass, is 156m long and offers a thrill to tourists as they feel they are walking over the lake. Mulle-gil means “happy waterway” in Korean and Chuncheon Mulle-gil is a great place to enjoy water sports like canoeing and yachting on a beautiful lake and river. Not only this eco-tourism destination offers visitors a chance to surround themselves in an enchanting natural atmosphere, but also a popular filming site for many TV shows and programs. 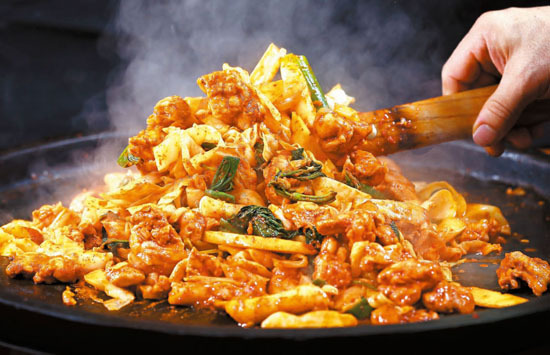 Chuncheon Myeongdong has been known for its famous Dakgalbi (spicy stirfried chicken) and now there are around 25 restaurants in that area. The dish is prepared by marinating chopped chicken in a spicy red pepper paste for about one day and the customers will need to mix the chicken with cabbages, green onions, sweet potatoes and rice cakes when it is served in a large cast iron pan. Known as one of Korea’s leading short story novelists, Kim You-jeong (1908-1937) was born in Sille Village in Sindong-myeong, Chuncheon. 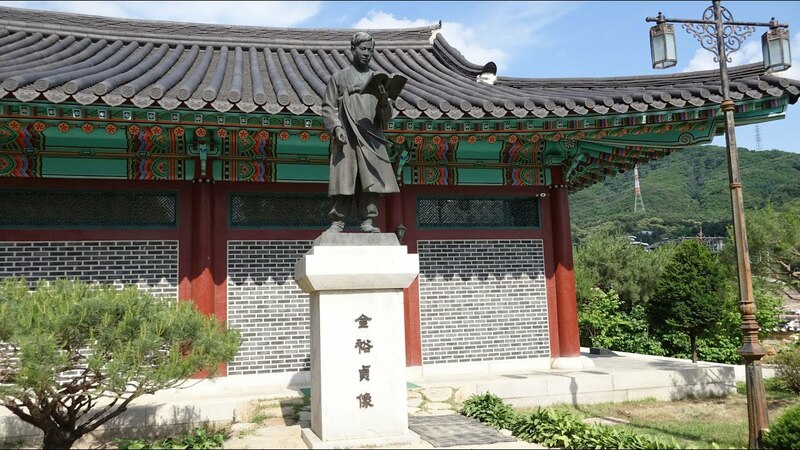 A restoration of his birth house, the Kim You-jeong House of Literature is part of an effort to turn the whole village into a literature village in honor of the novelist. Kim You-jeong spent a great deal of his life in Seoul and returned to his hometown in 1931 at the age of 23. He published his first novel Sangol Nageune (The Wanderer) followed by numerous rural-based novels such as Dongbaekkkot (The Camellias) and Bom bom (Spring).